Innerstate was a one-of-a-kind tattoo fine art event hosted by Guy Aitchison and Michele Wortman at the 2009 Hell City Tattoo Fest in Columbus, Ohio. At this event, we challenged 40 of the tattoo industry's most innovative artists to each produce a work of fine art, based on their own personal inner visions, in a live performance setting. The list of participants is a tattoo community powerhouse, including Nick Baxter, Shawn Barber, Kim Saigh, Markus Lenhard, Nikko Hurtado, Jeff Ensminger, Jon Clue, Juan Salgado, Nate Beavers, Jen Schichi, Chris Dingwell, Christopher Gay, Gabriel Cece, Steve Morris, Don McDonald, Tim Creed, Craig Driscoll, Phil Robertson, Kimberly Reed, Jennifer Billig, Marty Holcomb, Muriel Zao, Mike Cole, Adrian Dominic, Jeff Gogue, Patrick Conlon, Damon Conklin, Lizi Sage, Cory Norris, Ricky McGee, Timothy Boor, Dee Dee Seruga, Jay Strange, Tim Plumley, Dan Plumley, Canman, Juan Lopez, Carson Hill, Guy Aitchison and Michele Wortman, with guest artists Hannah Aitchison and Jo Harrison. 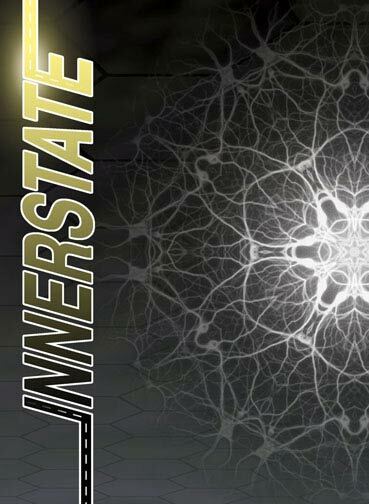 Produced by veteran tattooist Guy Aitchison, Innerstate: The Movie is a 50 minute documentary film featuring interviews with the artists and an inside look at their visions, techniques, concerns and goals. It's a fast-paced film with a great soundtrack, perfect for your tattoo shop video library. As a stand-alone streamable video it's available for $20; it is also available as a DVD and book combo pack.